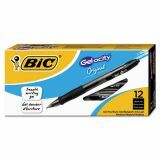 BIC Gel-ocity Retractable Gel Pen, 0.7mm, Black Ink, Trans Black Barrel, Dozen - Gel-ocity Retractable Pens offer an easy-to-handle contoured grip for writing comfort and smooth-flowing gel ink to deliver quality work. 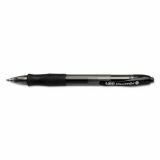 Very low pressure is required for smooth writing. Tungsten carbide ball is a perfect sphere and very resistant. Rubber grip allows comfort and control. Clear tinted barrel makes it easy to see ink supply and matches ink color. Plastic clip easily attaches to notebooks and pockets. 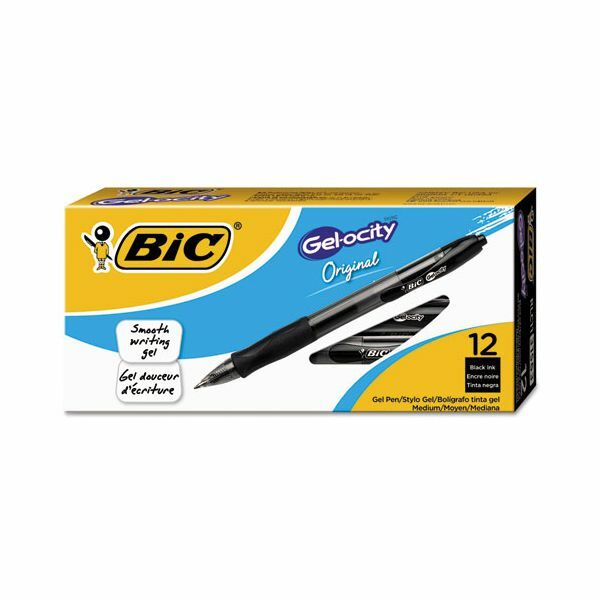 PVC-free pens are refillable.